North American red squirrel eats seeds in the shade of a Minnesota birch forest. Red squirrels are found in coniferous, deciduous and mixed forested habitats from Alaska, across Canada, throughout the Northeast and south to the Appalachian states, as well as in the Rocky Mountains. 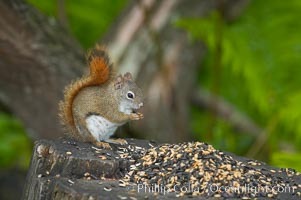 North American red squirrel, Tamiasciurus hudsonicus Photo. North American red squirrel eats seeds in the shade of a Minnesota birch forest. Red squirrels are found in coniferous, deciduous and mixed forested habitats from Alaska, across Canada, throughout the Northeast and south to the Appalachian states, as well as in the Rocky Mountains. 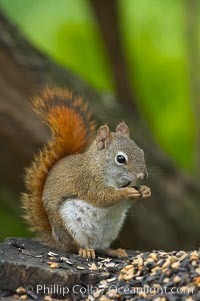 North American red squirrel, Tamiasciurus hudsonicus Picture. North American red squirrel eats seeds in the shade of a Minnesota birch forest. Red squirrels are found in coniferous, deciduous and mixed forested habitats from Alaska, across Canada, throughout the Northeast and south to the Appalachian states, as well as in the Rocky Mountains. 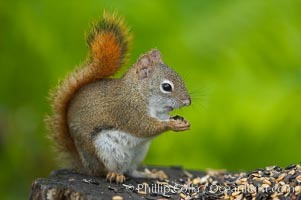 Stock Photography of North American red squirrel, Tamiasciurus hudsonicus. North American red squirrel eats seeds in the shade of a Minnesota birch forest. Red squirrels are found in coniferous, deciduous and mixed forested habitats from Alaska, across Canada, throughout the Northeast and south to the Appalachian states, as well as in the Rocky Mountains. 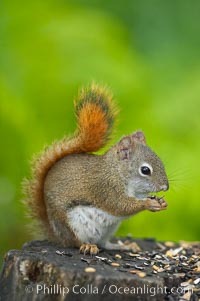 Photograph of North American red squirrel, Tamiasciurus hudsonicus.